Maritime software, services and data analysis provider NAPA said its Loading Computer has been installed across the entire Windstar Cruises fleet. Windstar’s unique fleet includes not only three small, boutique cruise vessels Star Breeze, Star Legend, and Star Pride, but unique sailing cruise ships such as the four-masted Wind Spirit and Wind Star, and the five-masted flagship Wind Surf. The NAPA Loading Computer, a stability solution for passenger vessels, undertakes a wide range of calculations related to hydrostatics, intact stability, and ship longitudinal strength to optimize vessel load while minimizing stress and safety risk. 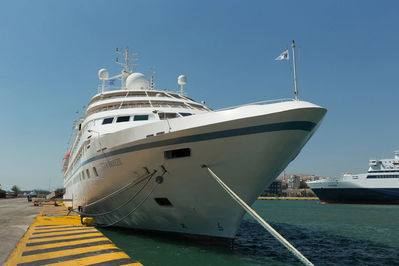 Wind Star and Wind Spirit were retrofitted with NAPA Loading Computer and the installations on Star Pride, Star Breeze, Star Legend and Wind Surf were all upgraded recently. Windstar and NAPA have also signed a service agreement that will cover technical support and future life-cycle services to ensure trouble free operation. NAPA has also provided onboard training services, and its Stability eLearning course to Windstar.